On this tour you will explore the beauty of Mandawa. The Mandawa Haveli has a huge collection of Fresco paintings and Chuttris (cenotaphs). 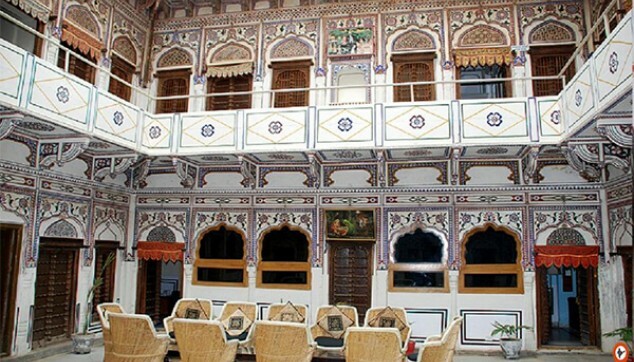 Hanuman Prasad Goenka Haveli, Goenka Double Haveli, Murmuria Haveli and Jhunjhunwala Haveli are some of the key highlights of the Mandawa Tour Package. 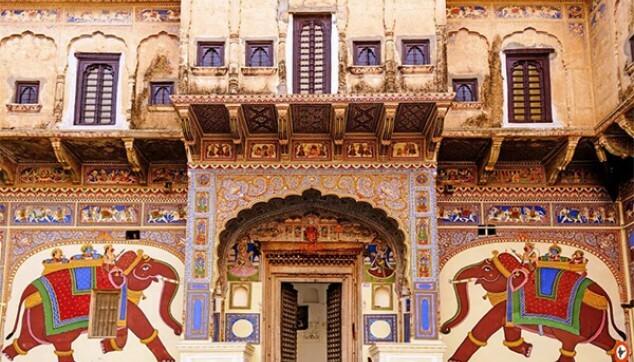 The destination is famous for its beautifully painted Havelis. Admire the huge collection of Fresco paintings. Step back in time by the artwork at beautiful Havelis. A great heritage accommodation at Mandawa. A private air-conditioned car from Jaipur. A local guide with interesting stories of Mandawa’s Havelis. This 2-Day Tour to Mandawa will start at 9:00 am. You will be received from the hotel. Drive to Mandawa and check-in at the hotel. 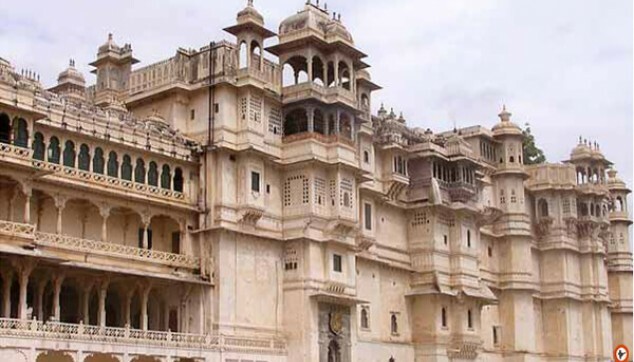 At 1:00 pm, the Jaipur-Mandawa Tour will take you to Mandawa Fort. Adorned with Lord Krishna and cows, the fort’s gateway will win your heart. Hanuman Prasad Goenka Haveli, a perfect place for history buffs and art lovers. It is known for its beautiful artwork that will introduce you to the creative genius of the bygone era of Rajputs. Goenka Double Haveli with its monumental facade of elephants and horses will take your heart away. The Murmuria Haveli is adorned with some modern paintings. The trains, cars, George V and a young Nehru on a horseback holding the national flag. Here, you will see that the East and West are combined. The next spot is Jhunjhunwala Haveli, painted with golden leaf rooms giving a unique experience. Enjoy the overnight stay at one of the heritage hotels in Mandawa. Post breakfast head to Gulab Rai Ladia Haveli, The Binsidhar Newatia Haveli, Mohanlal Saraf Haveli, Chowkhani Haveli and Lakshminarayan Ladia Haveli. Here, you will find some of the finest fresco of the region. Then take a turn back to Jaipur. On arrival check in at the hotel. Any extra activities / requests not a part of the given program. Expenses of personal nature like laundry, telephone calls and gratuities etc.